Study on plant, sediment samples shows area around stream that flows out of abandoned Unilever thermometer factory into Pambar Shola Reserve Forest is contaminated with mercury. CHENNAI: Even after 14 years since Anglo-Dutch multinational company Unilever was forced to shut down its thermometer factory in Kodaikanal, the plant continues to leach mercury into the ecologically-sensitive watershed area at Pambar Shola, studies indicate. High levels of mercury were found in samples of moss, lichens and sediments that were collected as recent as April this year from four locations outside the factory. The study was done by the NGO, Community Environmental Monitoring, and the tests were conducted at Bhaba Atomic Research Centre in Hyderabad. Lichens and moss are considered to be good bio-indicators to find out the levels of mercury in ambient air. According to the findings of the study, high mercury levels were found in two lichen, one moss and one sediment samples. According to the organisation, the most contaminated samples were found on the Levange path in Pambar Shola Reserve Forest from around a stream that flows out of the factory into the Shola watershed. The lichen sample from there containted 53 mg/kg of mercury. One moss sample from there had 8.68 mg/kg mercury. Another lichen sample, this time collected from around a private property across the road from the factory, contained 2.96 mg/kg of mercury. Environmental acivitists say that such high levels of mercury in lichens and moss indicate higher than permissible levels of mercury in ambient air. Among the sediment samples, the ones collected from inside the Pambar Shola were the worst polluted with mercury. One sample from a stream that flowed out of the factory site had 1.52 mg/kg mercury in it. This indicated that the Shola watershed was continuing to get polluted by mercury leaching from the factory site, added the NGO. 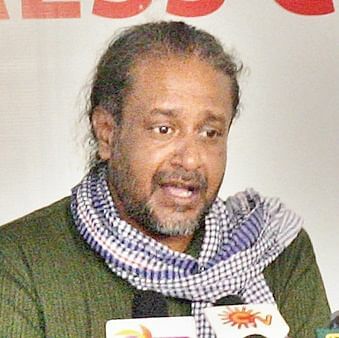 Noted environmental activist Nityanand Jayaraman, who has been taking up the issue in various fora, said 14 samples including four of lichen, three of moss, three water and four sediment samples from four locations outside the factory were analysed at the Bhaba Atomic Research Centre of the Department of Atomic Energy in Hyderabad. The test revealed that the levels of mercury contamination has gone up 20 times since the last sample tested by the Department of Atomic Energy. This is posing a threat not only to the residents in and around Kodaikanal, but also fish consumers living downstream. “Mercury enters the aquatic food chain and builds up to lethal levels and can return to poison fish consumers downstream,” added Nityanand. The State Pollution Control Board has failed to take any action except for shutting down public participation, besides working ways to relax standards for the clean-up, he charged, pointing out this as the reason for the UK-based company not following the standards it had set in the United Kingdom. “In 2001, Unilever had assured that the factory site will be cleaned up till there is no more than 10mg/ per kg of mercury in soil. This was 10 times weaker than standards in the UK, where Unilever has it headquarters. In 2005, TNPCB worked with Unilever to downgrade clean-up levels to 25mg/kg. At this level, nearly a fourth of contamination would be left behind in the soil even after clean-up,” said Nityanand. Activists allege that more than 30 workers have died till date after years of exposure to mercury, used in the manufacture of thermometers. A 16-minute film ‘Mercury in the Mist’, in 2011, brought to light the plight of mothers, grandmothers, fathers and children as they struggle to survive and also fight for justice seeking compensation from a factory that flouted industrial and environmental norms. Unilever had admitted that it discharged 1.3 tonnes of mercury into the watershed forests and that 366 kgs of mercury remain mixed with soil inside the factory site.